With the successful launch of the first SIX batches of our Continuing Legal Education Series course on Commercial Contract Drafting, we have decided to launch the seventh round of registrations of this unique and extremely popular programme. 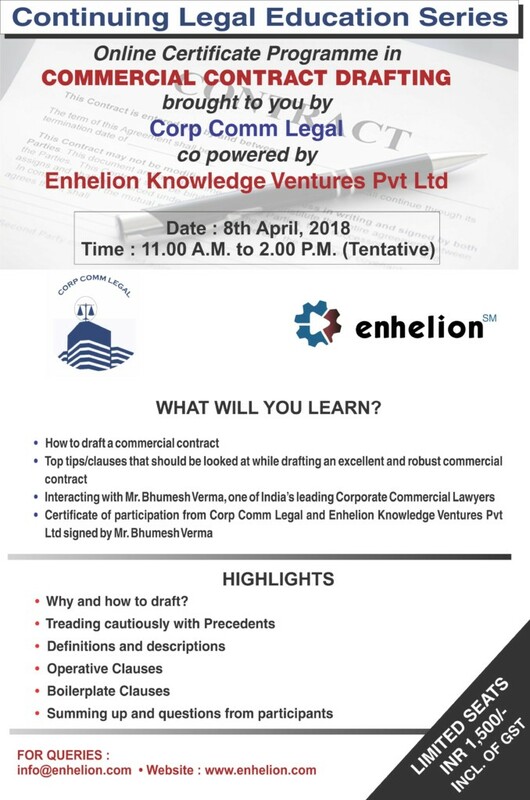 Leading Corporate Law Firm – Corp Comm Legal in collaboration with Enhelion Knowledge Ventures Pvt Ltd, has re-launched a one day online certificate programme on Commercial Contract Drafting. Mr. Bhumesh Verma, a leading corporate lawyer, having 20 plus years of legal experience, will be taking this one day certificate programme, as part of our Continuing Legal Education Series. Location: The course will be conducted online through our state of the art virtual classroom. 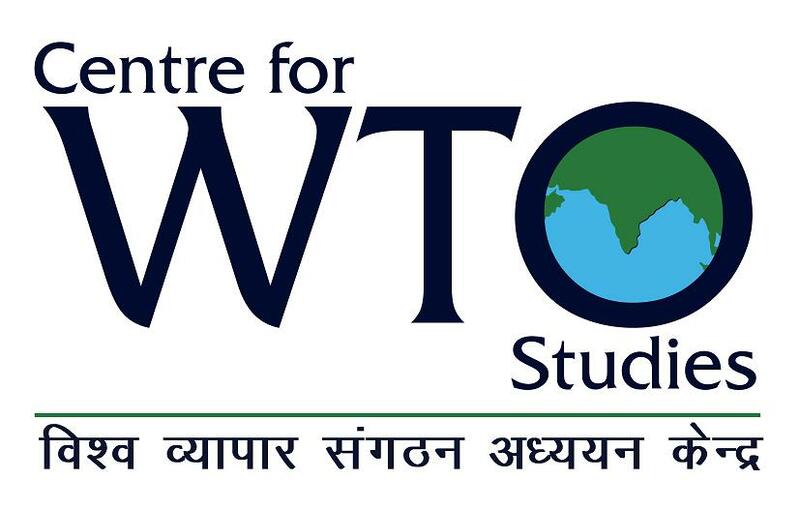 Each student will be provided with a link to access the lecture online through your smart phones or laptop computers. You do not have to come to any place to attend the course. Pay the fees via PAYTM or PAYU payment gateways. All participants shall receive a certificate from Mr Bhumesh Verma’s law firm – Corp Comm Legal and Enhelion Knowledge Ventures Pvt Ltd.
Mr Bhumesh Verma is the managing partner of Corp Comm Legal [www.corpcommlegal.com], having more than 20+ years of professional experience. He started his career at AZB and Partners, New Delhi and went on to be an equity Partner at Khaitan & Co., Paras Kuhad & Associates and Link Legal. His practice areas include advising on legal and regulatory issues concerning foreign investments in India, incorporation of companies in India, financial and technical collaborations, negotiations on clients’ behalf, formulation of strategy on legal/business issues, joint ventures and other business transactions, corporate and securities law, M&As, business agreements, due diligence and legal opinions. He also figures in the A-List of Top 100 Indian Lawyers published by India Business Law Journal [IBLJ]. Some of his recent educational initiatives include: 1) Delivering a lecture on ‘Impact Analysis of FDI in the Retail sector’ in the National Seminar on Foreign Direct Investment: Problems and Perspectives, organized by University of Pune, Department of Law; 2) Delivering a lecture on ‘Foreign Direct Investment in India’ at the NYU School of Law, Singapore. He is currently writing a book on Drafting Commercial Contracts. Each student will be provided with a certificate co-certified by Corp Comm Legal and Enhelion Knowledge Ventures Pvt Ltd.